Productivity is all about performance. Because computers are used to do almost everything, improving your system’s performance is one of the easiest ways to improve your performance. Time management techniques can certainly help you become more efficient, but they don’t help when you’re held hostage by a slow computer. Find more ways to speed up your computer. The problem isn’t your computer, it’s the components inside – and those are easy to upgrade. Depending on how you use your computer, there are options to improve your computer's performance and your productivity. Learn more about your computer's hardware. How do you use your computer? Solution: Install at least 4GB of memory. 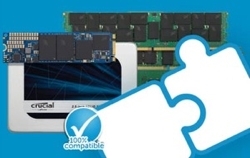 This doesn’t cost much, and the increased RAM helps deliver consistent, seamless performance. Solution: Install 8GB of memory. It’s affordable, easy to do, and solves the root problem – not having enough resources to handle everything at once. Solution: Install 32GB of Ballistix® gaming memory and a mainstream SSD. The SSD will allow you to quickly boot up and jump into the game, while the gaming memory will help you seamlessly navigate and dominate when you’re there. Solution: Get a value-oriented SSD, which is the most affordable way to increase your system’s performance and makes assignments easier. Make sure your computer has at least 16GB of RAM. 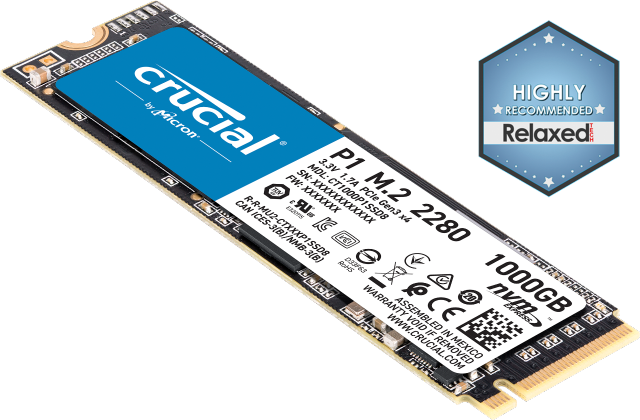 Solution: Go with a mainstream SSD that delivers a higher level of performance, along with 32GB of memory (or as much as your system can take). For best results, install the memory in a dual channel configuration, which maximizes CPU performance. Solution: Install 16GB of memory in a dual channel configuration (4x 4GB modules). Because you’re dealing with sensitive financial data, encryption can be a great asset and it comes standard on most mainstream SSDs. *Based on research commissioned by Crucial.com and conducted April 2015 by GMI, an independent research organization. The study polled a stratified random sample of 1,002 adults ages 18+ in the United States and asked questions about productivity, technology, and ways to improve efficiency. 1. Based on our interactions at industry events and extensive involvement with professional gaming teams. ©2018 Micron Technology, Inc. All rights reserved. Information, products, and/or specifications are subject to change without notice. Neither Crucial nor Micron Technology, Inc. is responsible for omissions or errors in typography or photography. Micron, the Micron logo, Crucial, the Crucial logo, and Ballistix are trademarks or registered trademarks of Micron Technology, Inc. Steam is a trademark of Valve Corporation or its subsidiaries in the U.S. and/or other countries. All other trademarks and service marks are the property of their respective owners.